While it is always better to err on the side of retaining business records, physical and even digital space limitations might make such a task impractical. In certain circumstances, however, your business has a legal duty to preserve documents and other evidence which might be relevant to future litigation. The preservation of documents relevant to potential or existing litigation is called a “litigation hold” (or sometimes, a “legal hold”). A litigation hold is a way to fulfill your legal duty. Why do I need to preserve evidence? In many cases, documents are the best evidence to help support a claim or defense during a lawsuit, and both you and your opponent will want access to whatever documents might be relevant to the dispute. If you discard or delete such evidence—even if you do so according to company protocols or due to the need to make room for newer records—your opponent could get a significant advantage by claiming that you intentionally destroyed crucial evidence, or that they have been unfairly prejudiced by your negligent destruction of such documents. Obviously, you want to avoid these kinds of claims by making sure you preserve potential evidence. When do I need to start preserving evidence? 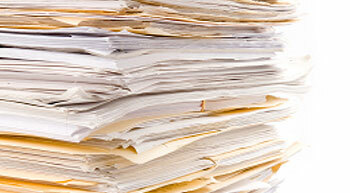 Your duty to preserve relevant documents is triggered once you reasonably anticipate litigation. A mere disagreement or simply the possibility of litigation is not enough to trigger your responsibility to preserve documents. Rather, it is when litigation becomes a probability that you must implement a litigation hold. Unfortunately, there are few strict guidelines for determining when litigation is “probable,” and courts will look to the specific circumstances of the case to determine when your obligations began. As a general rule, though, you want to begin a litigation hold whenever there is an unambiguous, serious threat of litigation—especially if that threat comes from an attorney. And of course, if you are either contemplating filing suit against someone, or have received a summons or complaint, it is important to begin your litigation hold right away. What type of evidence needs to be preserved? A litigation hold means your company needs to cease any practice which would result in the destruction of documents or information (no matter how old) which are potentially relevant to the dispute. This includes any type of document or information, such as contracts, invoices, photographs, memoranda, plans, time records, and correspondence—and don’t forget electronically stored documents like e-mails. You need to continue to preserve these documents until the dispute is completely resolved or until litigation is no longer possible (which is often far longer than you think). How should a litigation hold be implemented? How your business implements a litigation hold depends largely on the size and organization of your business. However, you should make the process as formal as practical, such as, for example, sending out e-mails to individuals who might have custody of relevant documents or who may be in charge of disposing of relevant documents and notifying them to preserve the documents. Just as important, you must regularly follow up with such individuals to make sure they are continuing to follow the litigation hold for as long as it lasts. In conclusion, it is not only a good idea, but a legal obligation for you to preserve documents and information which might be relevant to existing or potential lawsuits, so make every effort to establish a company protocol for implementing litigation holds as the need arises. And, as always, if you have any questions about this article, make sure to contact an attorney.